ISLAMABAD: The caretaker government has announced a three-day holidays on account of Eidul Azha. 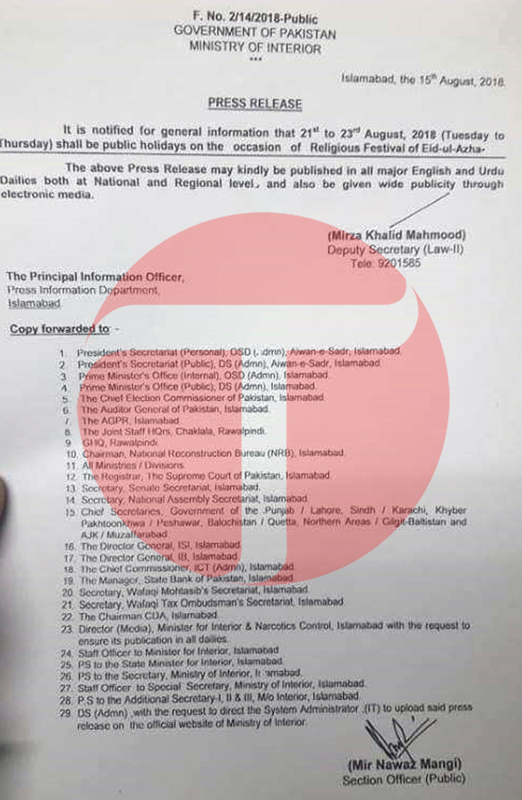 According to the Interior Ministry notification issued on Wednesday, August 21 to 23 (Tuesday to Thursday) have been declared public holidays. On August 12, Central Ruet-e-Hilal Committee Chairman Mufti Muneebur Rehman announced sighting of the Zilhaj moon and that Eidul Azha will be celebrated across the country on Wednesday, August 22. The decision was taken following a meeting of the committee, held in Karachi to sight the crescent. Eidul Azha commemorates the Quranic tale of the Prophet Ibrahim’s willingness to sacrifice his son as an act of obedience to Allah, before the Almighty replaced the son with a ram to be sacrificed instead. Kingdom of Saudi Arabia (KSA) and other Gulf states will celebrate the Eid on Tuesday, August 21 after Zilhaj moon was sighted in the region on Saturday night. The result is a booming pre-holiday trade in goats, cows and sheep. 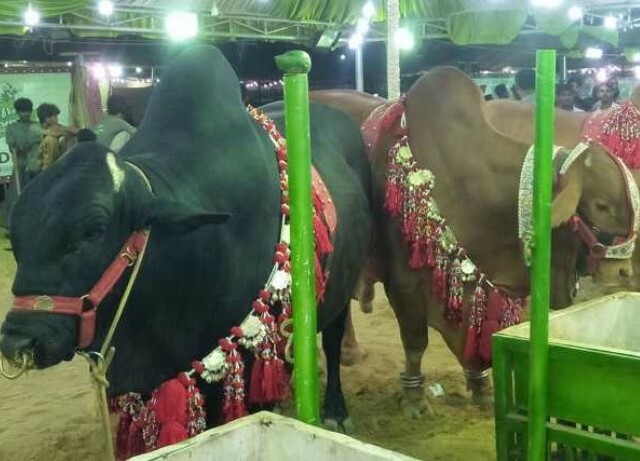 In Pakistan alone, nearly 10 million animals, worth more than $3 billion, are slaughtered during the two days of Eidul Azha, according to the Pakistan Tanners’ Association. Eidul Azha marks the end of an annual Hajj, or pilgrimage to Makkah, which is one of the five pillars of Islam, and should be undertaken by every Muslim who can afford to do so. It is a very disappointing decision . No relief for working employees . They should have considered friday off.